New Delhi, March 20 (IANS) High-level officials from the government, the public sector banks and the Prime Minister’s Office (PMO) met Finance Minister Arun Jaitley here on Wednesday to discuss the future of financially-troubled Jet Airways in the backdrop of speculations that an Indian suitor is being searched to save the beleaguered carrier. 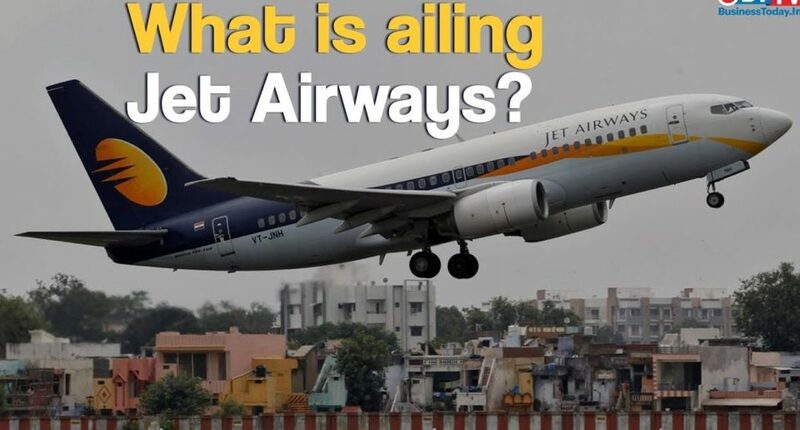 Speculations have been building up ever since the airline’s partner Etihad apparently refused to inject any more funds into Jet Airways, leaving just the public sector banks and the National Investment and Infrastructure Fund (NIIF) as the only viable creditors for the airline. In fact, the Gulf carrier has expressed its wish to walk out of the venture and is said to be looking for buyers from among financial institutions. According to industry observers, a third alternative of roping in a major Indian player is also being looked at. However, the prospective names are just in the realm of speculation at present. Sources said Air India, Tata Group or SpiceJet’s Ajay Singh might be among the contenders. However, Air India could not be entrusted with such a responsibility due to its own financial difficulties or even the Tata Group, which has already invested in two airline ventures — Vistara and AirAsia India — leaving only Singh, who has been credited with the turnaround of SpiceJet from a brink of collapse. The markets took notice of the buzz around Singh with shares of SpiceJet surging intra-day over 20 per cent to settle 16.38 per cent up at Rs 91.65 apeice on the BSE on Wednesday. Singh has served on board of the Delhi Transport Corporation in 1996. Two-years later, he joined Pramod Mahajan, then I&B minister, as an officer on special duty (OSD). He has also been credited with coining the BJP’s 2014 campaign slogan, “Abki baar Modi sarkar”. Speculations sprouted after the PMO on Wednesday marked its direct involvement in the matter as Principal Secretary Nripendra Mishra, along with SBI Chairman Rajnish Kumar and Civil Aviation Secretary Pradeep Singh Kharola, met the Finance Minister to work out a revival plan through state-owned banks for the near-grounded airline. Mishra’s participation in the discussion to revive an airline could be seen in the context of general elections when the government would not want job losses, airfare hikes and loss to lenders who are striving to recover non-performing assets. Meanwhile, according to a source in a bank, which too has lent to the airline, the revival plan for Jet Airways through a change in management is imminent, but details are still being worked out. The SBI Chairman nearly echoed that when asked if a new player is in the offing. “No possibility is ruled out,” Kumar said. Kumar also discarded the efforts to put the airline under insolvency, saying for the service industry, resolutions under the Insolvency and Bankruptcy Code (IBC) is near impossible, making it clear that Jet is not heading towards the National Company Law Tribunal (NCLT) anytime soon as lenders fear doing so would make it impossible to recover dues. Jet has a debt of Rs 9,000 crore to the banks. “Airline is a service industry and the IBC is the last option here as under the IBC, resolution for an airline is nearly impossible. Going to the IBC will mean grounding the airline. We have not reached the point where we can give up. The IBC is the last option in the recovery process,” Kumar said. The SBI, lead lender of a consortium that extended loans to Jet, almost hinted that but for few issues the package to rescue the airline is ready. “Extensive work has been done by the lenders in the last five months. There are few issues. We will sort them out soon,” Kumar said hinting at an early resolution. The SBI Chairman said all efforts should be made to keep Jet afloat. The sector needed competition as air fares have shot up because of the grounding of MAX and Jet Airways planes, he added. The lead banker also refuted any charge of being directed by the Finance Ministry to bailout Jet Airways. “No direction has come from the government. We are bankers and it is in our commercial interests. It is our duty to keep the government informed,” Kumar said, adding the government is the most important stakeholder in the process. “All stakeholders, including the government, are of the view till the time all hopes are not lost, efforts should be made to keep the airline going,” he said. On the reports that Etihad, a 24 per cent partner of Jet Airways, is seeking to exit the airline, Kumar said nothing conclusive has come from the foreign partner and dialogue with it is on. This comes amid reports that with a formal offer to the SBI, Etihad wants to sell the lender its Jet stake and take over its liabilities in the form of a guarantee. On an immediate basis, lenders are expected to give Rs 750 crore to Jet Airways, which would come by pledging the airline’s stake in Jet Privilege with banks. Sources said the Punjab National Bank (PNB) could be the lender in question. Etihad was also to infuse Rs 1,600-1,900 crore for a stake of 24.9 per cent, just below the 25 per cent threshold to avoid an open offer. Lenders are expected to infuse Rs 1,000 crore and take 29.5 per cent stake, according to banking sources. There are reports of Naresh Goyal, founder-promoter of Jet, being in talks with Qatar Airways for a possible investment with Goyal as the minority investor, a pre-condition put forward by Etihad. The pilots’ union of Jet Airways had on Tuesday threatened to stop flying from April 1 if clarity on the resolution plan is not brought to their notice by March 31. According to the Directorate General of Civil Aviation (DGCA), only 41 Jet Airways aircraft are available for operation and there may be “further attrition” of flights “in the coming weeks”.